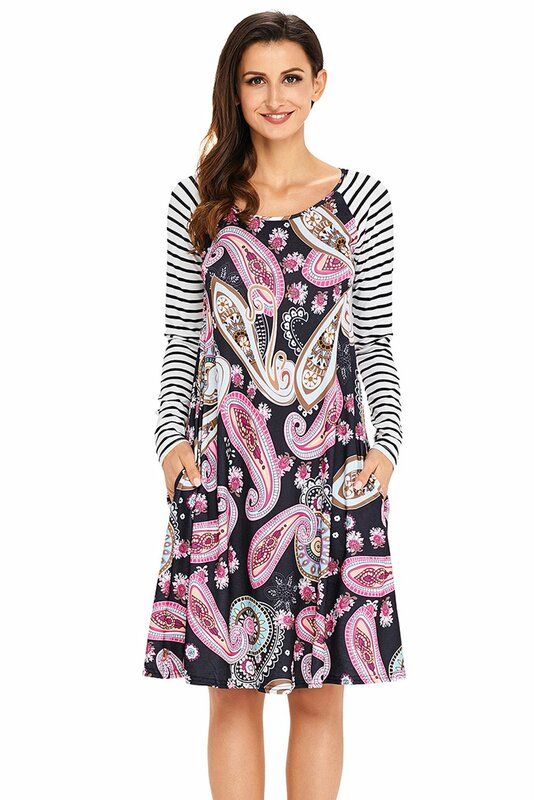 This raglan sleeve dress turns out that floral pattern and stripe print could be so harmonious collocation. Round neck, long striped raglan sleeves and foral print body in a loose fit design. If you’re always on the lookout for ways to stay chic and comfortable with minimal effort, then this Floral Print Stripe Raglan Sleeve Dress is for you.